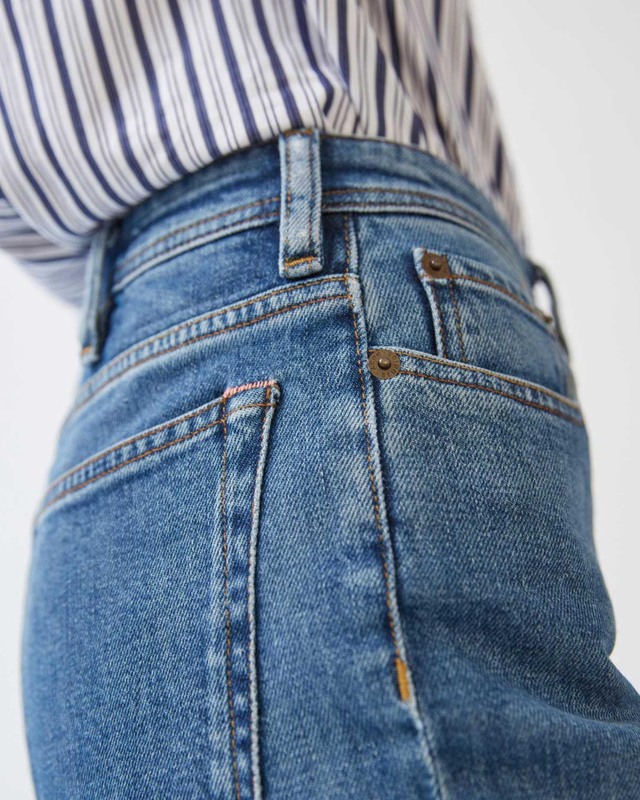 The jeans sit comfortably around your waist. Image courtesy of Acne Studios. 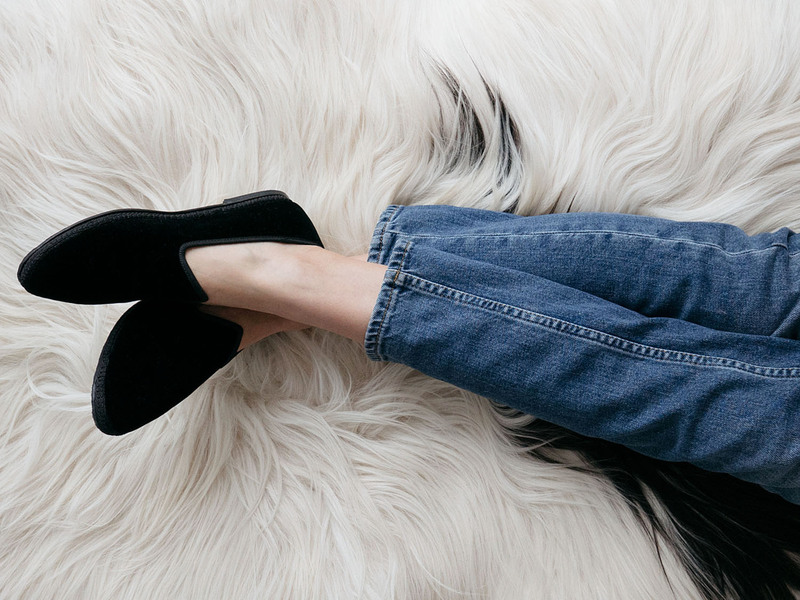 Heading to California in blue jeans and black velvet slippers, both showcasing Italian expertise. I am heading to California dressed in South jeans by Acne Studios, such a fine pair I recently found, in a beautiful mid blue wash.
Acne has moved their denim production from Albania (I think?) to Italy. Whenever I have a chance, and it is purposeful, I choose to buy things made in Finland, or in Italy. There is no way we will have local companies, if we are not willing to pay for having them around. When it comes to fashion, Italy is – and hopefully will remain – a land of supreme craftspeople. The tradition of making really good things out of really good materials is so strong, that they have never brought the quality down. Instead, brands have moved their production out of Italy, in search of bigger volumes and cheaper prices. South jeans fit comfortably around your waist and the leg is narrow yet straight, not skinny. A few loose inches around your calf and ankle feel fresh for spring, don’t you think?